When it comes to Mad Catz, I have a love-hate relationship with the company. As a young teenager back in the early 2000s, there was no bigger Christmas disappointment then to receive a Mad Catz instead of name brand. That being said, I grew to appreciate Mad Catz brand gaming accessories for what their value and not so bad quality. 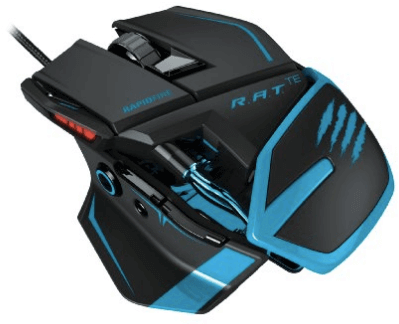 In terms of the Mad Catz R.A.T.TE tournament edition gaming mouse, the company has created a great product at a great price. However, it is by no means the best gaming mouse I’ve used. The Mad Catz R.A.T.TE has a unique and abnormal body shape with a lot of color doing on as well—almost to the point of distraction. While the Mad Catz R.A.T.TE’s appearance may not suit my particular tastes, I think many gamers will find it to be an appealing design. The downloadable software is very easy-to-use and allows users to customize the mouse’s 9 programmable buttons. The software’s customization options are surprisingly diverse and particular. Two of my favorites were acceleration and depth fine tuning, which are less common options to find in mice software. Since I love how you have the advantage of acceleration and depth fine tuning, it should also be noted that the sensor is shockingly great. First of all, the Mad Catz R.A.T.TEhas an adjustable lift off height, which allows the 8200 DPI sensor to be set to a level which sidesteps z-axis tracking issues. The Laser Doppler sensor is supposed to automatically detect the surface and then make the adjustments necessary for optimal gaming-sensor performance. With the R.A.T.TE, I was especially pleased with the high speed motion, which peaked at 6m/s and the 50G acceleration. The RAT also has a Precision Aim mode. In this mode, you can enable on-the-fly cursor sensitivity adjustments to stabilize your aim. This last feature makes the RAT especially appealing to FPS gamers. The Mad Catz R.A.T.TEis especially great at acceleration and accurate aiming, however, there were a few instances when I felt like it was no better than other mice in its price range. No, there wasn’t any noticeable change in my ability to aim or my gaming performance. It felt like most other gaming mice I’ve used, with a few exceptions. For one, the sensor is extremely accurate and fast. Secondly, it’s not the best looking mouse around. Thirdly, it’s slightly more talk than action. Regardless of whether or not the RAT is able to completely live up to its marketing strategy, it’s one of the best mice I’ve used in this price range for quite some time. However, you should be aware that it’s not going to radically change your ability to aim with the Precision Aim mode. In fact, any gaming mice that promises something like this or, even alludes to it, is probably going to disappoint you which is exactly why it’s important for gamers to have realistic expectations for their equipment and look at it objectively. 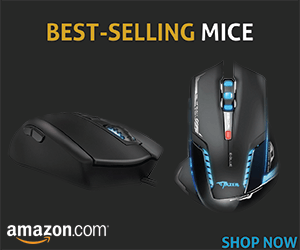 The mouse makes up for its silly design with its proven record of durability. The left and right mouse buttons are especially strong, which was no surprise when I found out the R.A.T.TEis stocked with OMRON switches. These specific switches are rated at 5 million cycles. In other words, this mouse should last you for around five years if you use it 6 days a week for 6 hours a day all year long. 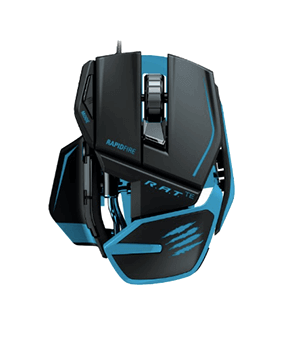 I also want to talk about the grip and the ergonomic aspects of the Mad Catz R.A.T.TE. Initially, I was skeptical about the RAT, thinking, “There’s no way this crazy shape could be even slightly comfortable to hold for more than an hour.” To my surprise, the RAT is pleasantly comfortable and compliments most grip styles to improve control. There are a couple of things that contribute to the mouse’s comfort and diverse grip compatibility. For one, the Mad Catz R.A.T.TE comes with an adjustable palm rest. There’s also the pinkie and thumb finger rests which are exceedingly well designed to fit the contours of your hands. It all made sense after I realized that the funky design was only for these specific features of the ergonomic and grip aspect of the mouse. You learn something new every day, right? But here’s the thing, even though the R.A.T.TEhas done everything in its power to make this a mouse that will work for everyone and anyone, as always there will be a minority. Some users complain about the mouse having too many straight lines, in addition to being too small and not round enough. Also, if you’re left-handed then you’re out of luck because all of that customizable finger slots means it only works for right-handed gamers. This is one of those things that you can’t really be certain about until the mouse is in your hands and you have a chance to use it for the first time. However, if you’re thinking about purchasing the R.A.T.TE, then use the lessons you’ve learned in past experiences with gaming mice to decide what sizes have and have not worked and so on. Its small size and light weight may be a turn off for some.